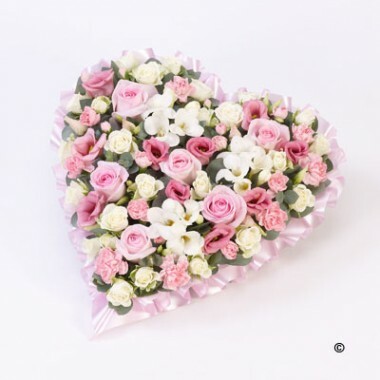 An enclosed heart funeral tribute is a beautiful design for your loved one. choose your colour scheme and we can deliver it to the funeral directors or you can collect it from our shop. Please allow 4 days notice.